The sheriffs announced their arrival with a loud knock. If nobody was inside, they’d have to kick the door in—but at this house, someone was home. The second-floor apartment was home to Danielle Shaw and her partner, Jerry Allen. On this Wednesday morning in August, Shaw and Allen were at home with young relatives, the children enjoying the last days of summer break. Then the eviction squad arrived: two Milwaukee County deputy sheriffs and five movers, assigned to get the tenants out as quickly as possible. They were accompanied by Matthew Desmond, assistant professor of sociology and of social studies, who studies poverty, housing, and eviction as a force in the lives of the poor. As Desmond looked on, the deputies swept into the apartment and briskly outlined the process. The couple could choose to put their belongings in storage at the moving company’s warehouse—and pay a fee to retrieve them—or the movers would leave everything on the curb. The eviction did not come as a surprise—Shaw and Allen had begun packing, and the living room was already piled high with boxes—but the timing did. Allen protested that upon receiving the eviction notice, he had called the landlord, who said they would have 8 to 10 days before actually having to leave; this was only day six. The deputies explained that once an eviction order is issued, it can be enforced immediately; any delay is due to a backlog of cases. 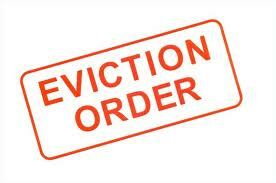 Read More Harvard sociologist Matthew Desmond on evictions | Harvard Magazine Jan-Feb 2014. This entry was posted in News from the Soul Brother and tagged Affordable housing, eviction, housing, poor, poverty, rent. Bookmark the permalink.